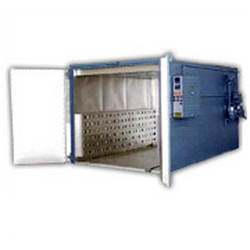 Prominent & Leading Manufacturer from Mumbai, we offer powder coating ovens and paint stoving oven. 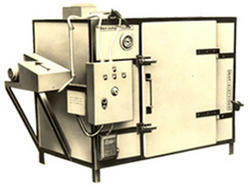 Our company has relentlessly pursued excellence in its endeavor by providing premium quality Powder Coating Ovens. Suitable for powder and liquid curing purposes, offered coating ovens are thoroughly tested against various quality parameters and are widely demanded among our clients. Provided ovens are designed by utilizing optimum quality components and the latest technology at our ultramodern manufacturing unit. Our firm specializes in providing our prestigious clients with a quality array of Paint Stoving Oven. Used in steel industries for the drying purpose, offered oven is manufactured using excellent quality components and cutting edge technology in compliance with industry standards. Our offered oven is tested on various parameters under the guidance of our experienced professionals. Keeping in mind the diverse requirements of our clients, we provide this oven in different sizes and shapes. Corporate inquiries will be entertained.